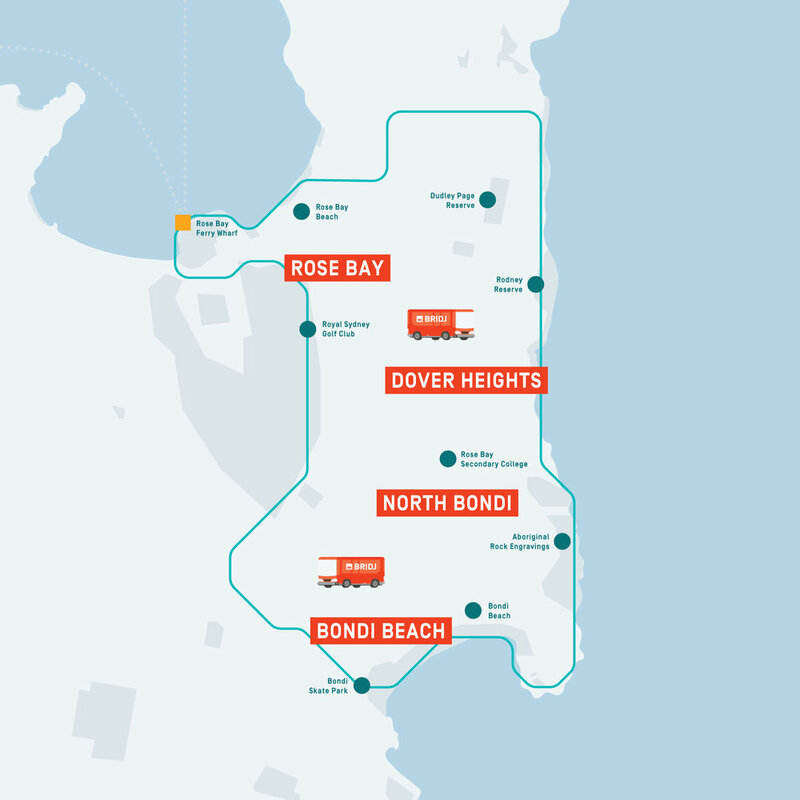 Whether you’re living, working or playing in Bondi Beach, North Bondi, Dover Heights or Rose Bay itself, connecting to the Rose Bay Ferry has never been easier. Plus BRIDJ passengers hop on board knowing they’ll have their very own seat and the convenience of free onboard WiFi. Please check the BRIDJ app for accurate trip times. Frequency may vary depending on your location and because our drivers are human and need a break. The frequency in the last hour of service is every 60 minutes (8:00PM — 9:00PM).